The 162 sofa series by Anders Nørgaard for freistil has a mid century style characterised by straight lines and minimalist, narrow feet that give the sofa a certain lightness. The modular sofa consists of a wooden inner frame fitted with nosag springs and padding made from polyurethane foam. Different upholstery is available in various colours. The sofa features slightly tapered feet made of oak wood. The 162 sofa is available as a 2-seater or as a modular sofa with corner elements on the left- or right-hand side. Various configurations and colours of the sofa are available on demand. The light grey 162 corner sofa by freistil Rolf Benz is characterised by a contemporary design and a comfortable récamier. Cones made of wood create discreet retro charm. 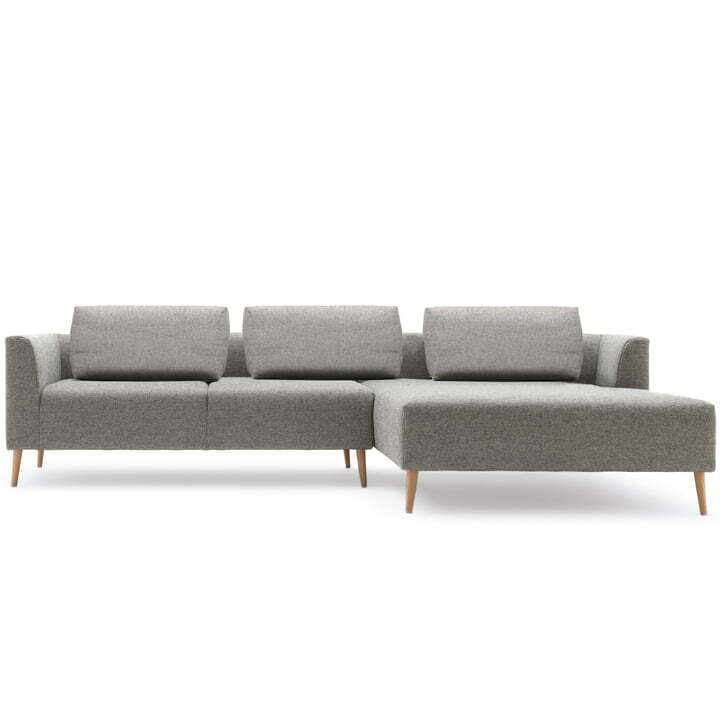 The 162 sofa is available as a 2-seater or as a modular sofa with corner elements on the left- or right-hand side. Matching cushions are included in the delivery. Lifestyle product image of the 162 sofa composition by freistil in the living room. 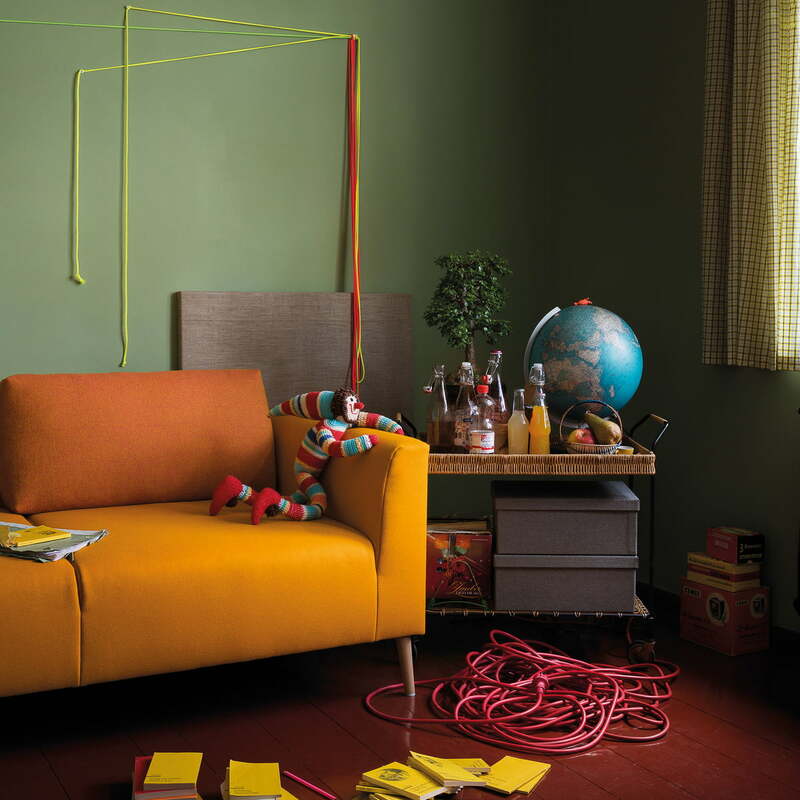 The modular sofa is especially eye-catching with orange upholstery.